With its sharp, citrus smell, Lime is one more essential oil to add to your favorites! Lime’s stimulating and refreshing properties can affect mood, as well as being a powerful aromatic, topical and internal cleanser. Lime is also popular for use on joints or seasonal threats. Cold-pressed from the peel of fresh limes, dōTERRA Lime essential oil is refreshing and energizing in both aroma and taste. Limes are frequently used in entrées and beverages for their fresh, citrus flavor. In the 18th century, British sailors drank lime juice daily to prevent scurvy while at sea, thus giving British seamen the nickname “Limeys.” Lime essential oil contains powerful antioxidants that ward off free radicals and enhance immunity. Due to its high limonene content, Lime provides internal cleansing benefits and can be diffused to help purify the air. It’s also an effective and natural surface cleaner. 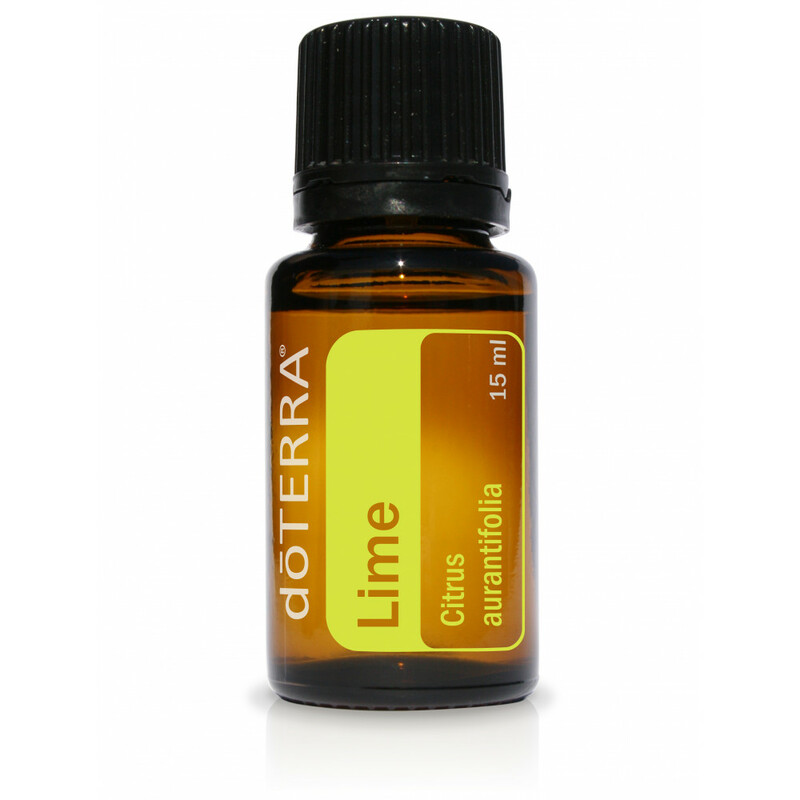 Lime is known for its ability to uplift mood, and balance and energize the mind and body. Lime is frequently used in facial and body cleansers for its purifying properties and uplifting scent.